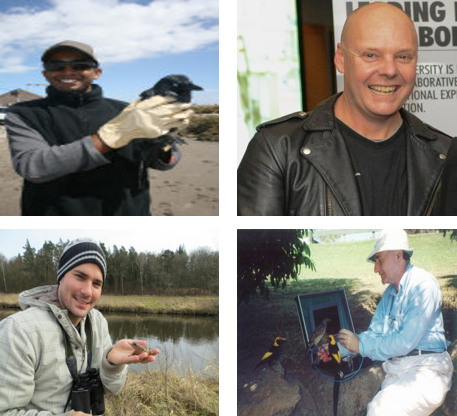 Kasun E, Michael W, Dale N & John E.
Brief summary of the paper: Ornamentation of parents poses a high risk for offspring because it reduces cryptic nest defence. Over a century ago, Wallace proposed that sexual dichromatism enhances crypsis of open-nesting females although subsequent studies found that dichromatism per se is not necessarily adaptive. We tested whether reduced female ornamentation in a sexually dichromatic species reduces the risk of clutch depredation and leads to adaptive parental roles in the red-capped plover Charadrius ruficapillus, a species with biparental incubation. Males had significantly brighter and redder head coloration than females. During daytime, when visually foraging predators are active, colour-matched model males incurred a higher risk of clutch depredation than females, whereas at night there was no difference in depredation risk between sexes. In turn, red-capped plovers maintained a strongly diurnal/nocturnal division of parental care during incubation, with males attending the nest largely at night when visual predators were inactive and females incubating during the day. We found support for Wallace’s conclusion that reduced female ornamentation provides a selective advantage when reproductive success is threatened by visually foraging predators. We conclude that predators may alter their prey’s parental care patterns and therefore may affect parental cooperation during care.